Avengers: Age of Ultron is not susceptible to the full libertarian/anti-war “allegory essay” treatment. Thanks to the fallout from Captain America: Winter Soldier (which I allegorized last year), the State (as represented by the global security agency SHIELD) does not feature as prominently in this second Avengers film as it did in previous Marvel films. However, there are a few themes and moments worth noting. The antipathy toward preventive war expressed in this line surely stems from the character’s bad experience with it in Winter Soldier. SHIELD’s own response to the New York attack was Project Insight, a surveillance and assassination drone warfare program meant to, in the words of SHIELD director Nick Fury, “neutralize a lot of threats before they even happen.” From the moment he learned of it, Captain America denounced Insight as “holding a gun at everyone on Earth and calling it protection.” And he was barely able to dismantle it before it could assassinate scores of peaceful dissidents. Cap’s line can also be read as a condemnation of US foreign policy in the real world. Preventive war was a major part of the Bush Doctrine, and was similarly justified by a devastating attack on New York: the 9/11 destruction of World Trade Center’s twin towers. “The security environment confronting the United States today is radically different from what we have faced before. Yet the first duty of the United States Government remains what it always has been: to protect the American people and American interests. It is an enduring American principle that this duty obligates the government to anticipate and counter threats, using all elements of national power, before the threats can do grave damage. The greater the threat, the greater is the risk of inaction — and the more compelling the case for taking anticipatory action to defend ourselves, even if uncertainty remains as to the time and place of the enemy’s attack. There are few greater threats than a terrorist attack with WMD. This was complemented by the Cheney or “One Percent” Doctrine, according to which a threat with even a mere one percent probability of being real would be treated by US policy as if it were a certainty. Together, the Bush and Cheney Doctrines provide carte blanche for any war of choice. And the war that Bush, Cheney, Rumsfeld, and the neocons chose under was the Iraq War. Saddam Hussein had not attacked America; and there was no indication that such an attack was even on the distant horizon, much less imminent. But as long as the Administration could pretend that there was even a minuscule chance that such an attack might occur someday, the Bush and Cheney Doctrines called for the invasion and regime change of Iraq. Another example of preventive war is President Obama’s real-life drone warfare program. In Pakistan and Yemen, Obama’s “Predators” and “Reapers” sow terror and reap death in the name of neutralizing future terror threats. Many of the program’s identified targets, selected for assassination every week from the “Disposition Matrix” kill list and authorized by Obama every Tuesday morning (“Terror Tuesdays”), have never been implicated in an attack. Still more targets have never even been identified. Victims of “signature strikes” are marked for death simply based on their visual profile, location, and behavioral pattern. And “double-tap strikes” annihilate whoever comes to the aid of the initial strike. Many strikes are botched, hitting the wrong people, like the infamous one that hit a wedding party in Yemen and the recent one that killed an American and an Italian hostage in Pakistan. As a result of this preventive warfare, scores of innocents have died, just as Captain America would have predicted: hundreds of thousands as a result of Bush’s Iraq War, and several for every militant killed in Obama’s drone war. And these initiatives to forestall future threats, like Stark’s, just ended up creating new ones. But instead of murder-bot blowback, the Iraq War, the Drone War, and the Global War on Terror in general have led to the rise of the Islamic State in Iraq and Syria (ISIS) and the flourishing of other Al Qaeda-inspired groups in Yemen, Pakistan, Syria, Libya, Somalia, West Africa, and elsewhere. And this of course has led to still more innocent deaths. 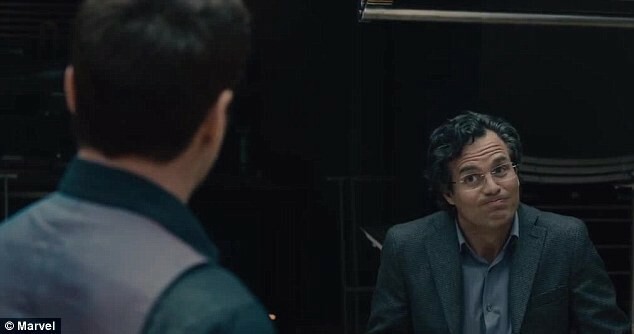 Bolton’s ploy has a parallel in a mid-battle motivational speech that the Avenger Hawkeye gives to Scarlet Witch when she is distraught with guilt over the role she played in the rise of Ultron. Scarlet Witch: This is all our fault. Hawkeye: Hey, look at me. It’s your fault… it’s everyones fault… who cares? Are you up for this? (…) It doesn’t matter what you did or where you were. If you go out there, you fight. And you fight to kill. Captain America: This is what SHIELD is supposed to be. Quicksilver: This is not so bad! This seems part of a general rehabilitation of SHIELD (the chief villain of Winter Soldier) in the Marvel onscreen universe. 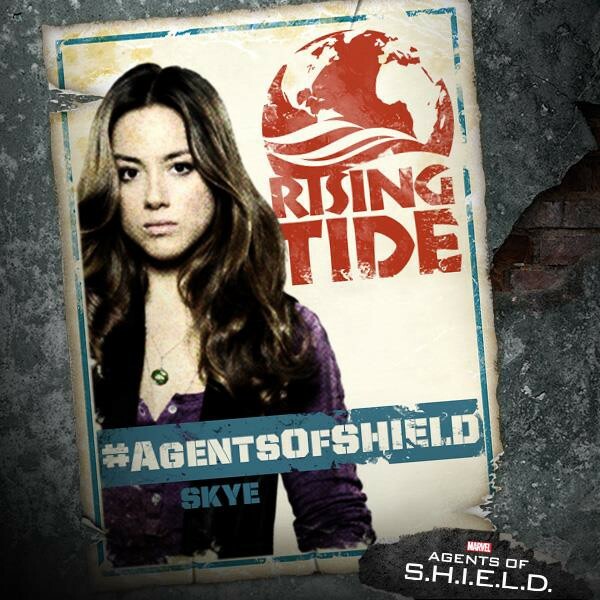 In the television series Agents of SHIELD, the agency (at least in the five initial episodes that I’ve seen) is portrayed as a misunderstood, heroic, and even bleeding-heart agency that destroys weapons of mass destruction instead of exploiting them, uses extreme humanitarian restraint when neutralizing a super-human threat, and even wins over with its decency Skye: a beautiful, idealistic “anarchist hacker type” and member of the anti-government “Rising Tide” network (Marvel’s version of Anonymous). It will be interesting to see if Marvel Studios will continue in this direction in the upcoming Captain America: Civil War, especially since doing so would be a stretch given the film’s source material: a comic book series in which Iron Man is portrayed as something of a villain for leading the forces who support the US government’s authoritarian Super-Hero Registration Act, while Captain America is portrayed as the hero for leading the forces who defy it. If they stay true to that, Captain America will be, as he was in Winter Soldier and Age of Ultron, an embodiment of America in the best sense: a representative of the heroic American tradition that strives to shield Liberty against Leviathan and that has never completely vanished from the country, even when it has only been an undercurrent going against the flow. Will Marvel Studios take the subversive or subservient route? Hopefully, they will remember that, as Winter Soldier proved, going subversive can make heaps of money, especially in the post-Iraq and post-Snowden era: the Age of Ultra-Disillusionment.